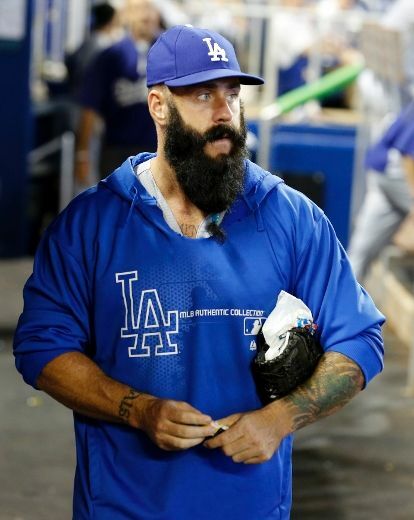 Brian Wilson may have started last season on a downward trend, recovering from early season injuries that occurred in Sydney Australia. Did Friedman not see he fared better in the second half. In 24 appearances in the 2nd half of last year, he sported a 3.00 ERA and just a 1.167 WHIP which are more reflective of his career numbers as opposed to the before ALL – Star numbers. I am not saying to start him as your Closer, but just to inhale the dough owed to the man, while cutting him lose is not wise. He could still be the 5th – 7th guy on your Relief Core right now. It looks even worse with Kenley Jansen out. Maybe the former AL Cy Young Winner should think twice about doing that, as I doubt the Dodgers would be involved in the next round of bidding for his services. So where is the fiscal restraint promised? I understand there should be time for the plan to be implemented, but should Magic Johnson and the Guggenheim Consortium just sit idly by – and watch the money pit grow? Zack Greinke has an opt out clause in his deal after this season, even though he will stay have nearly $25 MIL left on his deal running through 2018. 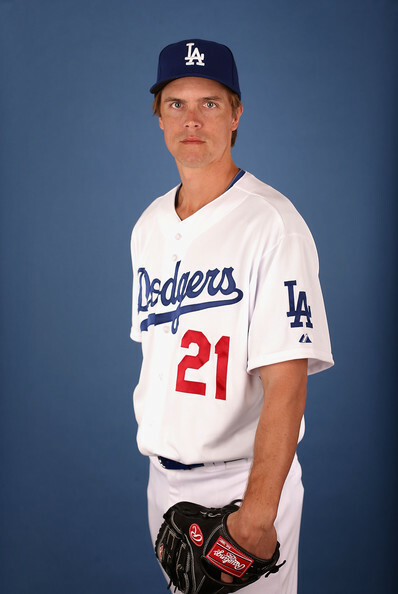 There is no doubt in my mind that LA will walk away from Greinke should he go through with it. If the RHP has a great season, he will enter in a Free Agent market with the likes of Johnny Cueto, David Price, Jordan Zimmermann and Jeff Samardzija, however his services would be highly in demand. I am a huge Brian Wilson fan, and would be 1st in to tell you that he didn’t have a banner 2014 campaign,. however his second half was closer to his career totals, and may have shown he was completely hurt from the Opening Series in Sydney, Australia. I get that he might not be as good as his salary dictated, but he is one of their best 7 Relievers right now, and doesn’t it look foolish to have shown him the door so fast when Jansen came down with his current injury. This club could have signed James Shields for the same dough they shoved at Brandon McCarthy, Beachy and Brett Anderson. All with lengthy time served on the Disabled List over the last several years. This will be the 3rd straight season the franchise suffers a penalty tax for being over the $189 Million Dollar Threshold, which calls for a penalty of 40%. With a current estimated $267 MIL payroll, that is $78 MIL over the limit, incurring a total of about a $30 MIL hit. At this point, the team would almost be in favor of Greinke leaving his money on the table, With Julio Urias on his way to the big leagues shortly, and already drawing accolades from Dodgers legend Sandy Koufax and Fernando Valenzuela, perhaps this young chucker could soften the blow of losing Greinke. 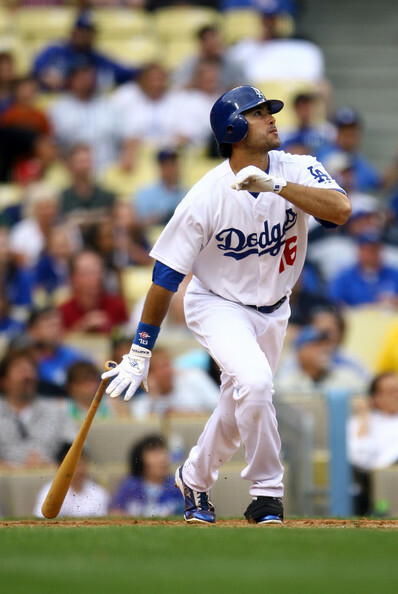 Andre Ethier has lost most of his power he displayed just a few years ago. His contract calls for 3 more years and $56 MIL. There is no way a team would acquire him without the Dodgers having to pay half of that dough. Perhaps they should just keep him. The long serving Dodgers OF has requested a trade now. He will have to fight Carl Crawford for playing time in LF, and maybe receive some AB if the super rookie Joc Pederson falters – although word is the PCL 30/30 man of 2014 will be given every opportunity to play in CF, unless he is a complete disaster. In the long run, the club will not sigh any new big deals for pending Free Agents until they can rid themselves of the Carl Crawford deal as well. Adrian Gonzalez is among the top 50 contracts of ALL — Time, and of course the Clayton Kershaw deal is the richest pact ever given to a pitcher in MLB History. God forbid any long-term injury to the reigning NL CY Young Winner. It is easy for Friedman to pass the buck of blame to the clubs former GM Ned Colletti, but this is a serious issue with the finances. Certainly one could also fault him for signing the new injury prone players. There is no way he would have been given the green light to do those deals for his previous employer the Rays. It will be interesting to see how the management can finagle its way out of escalating deals in the next few seasons, especially when the penalty for a 4th year and above abuser reaches 50%. You will be operating at a $35 MIL surcharge in that event. Any player on the open market you wish to sign, will come 50% higher on cost, based on that fact. One of the brilliant moves that Ned Colletti did do, was ink Yasiel Puig all the way through 2019 on a 7 YR deal/$42 MIL contract prior to the 2013 season. Don Mattingly will have to harness his talents this year and beyond, into the MVP caliber talent, if the squad hopes to make up for the departed Matt Kemp and Hanley Ramirez power. The club also has to find out what to do with 2B Alex Guerrero. He is out of options, and the club is on the hook for a $7 MIL a year contract for the next 3 campaigns. Since he missed over half of the 2014 year when Miguel Olivo bit his ear off in fit of rage, it set back his development for the big squad. The bringing in of Howie Kendrick/Jimmy Rollins also killed any chance of Guerrero competing for a Starting Position, although he could serve as a Utility Infielder. Guerrero will have to duel out the popular Justin Turner for that spot, who put up a terrific 2014 in that role. For the record, I don’t mind the deal to bring their current 2B and SS veterans. I think it is a good stop-gap measure for a season. Los Angeles is still in trouble with their Bullpen depth, although they do have such talented Starters, they won’t be relied on as heavily as other competitive clubs in the National League. I am not thinking the team will bring in any high-priced talent at the Trade Deadline either. I can’t express how important the ability of Joc Pederson to stick in the big leagues will be in controlling team salary. You also may look to top prospect SS Corey Seager, to help lower the AAV among the players in the next few years. kershaw, Gonzalez and Crawford will make upwards of $70 MIL combined for each of the next 3 years. If Greinke stays on, you can add another $24 MIL annually to the mix. Yet another perplexing reason for the club to dole out guaranteed deals to Anderson and McCarthy equaling $23 MIL to the heeping pile of dough forked out on the roster. The new CBA bargained after the 2016, may bring forth many changes to the Luxury Tax, and the Dodgers should definitely have that thought in the backs of their brain’s going forward. The next few years will be messy to say the least, but will keep their accountant’s very happy with bountiful work. 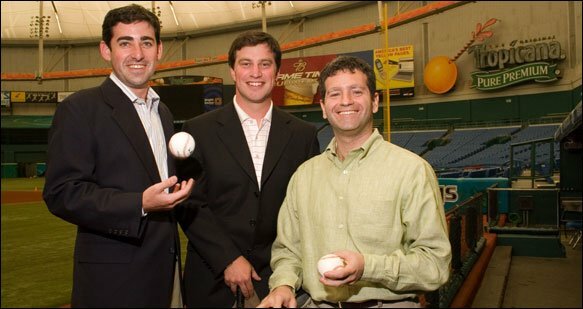 Andrew Friedman, shown here with the Rays brass, is blasting any flexibility his team had for acquiring players mid-year, by throwing out $23 MIL to an injured trio of Starting Pitchers (McCarthy. Anderson and Beachy). They might have been better of paying James Shield for his durability. Perhaps the Dodgers ownership is giving Friedman a free pass to re-do the roster, however if someone takes Ethier on a trade (with LAD absorbing half) than the Dead Money will surpass $50 MIL this campaign. That is ridiculous. Posted on March 5, 2015, in MLB Payroll and Contracts and tagged 2016 CBA, adrian gonzalez, alex guerrero, andre ethier, andrew friedman, brandon beachy, brett anderson, brian wilson, clayton kershaw, corey seager, dan haren, david price, dead money payroll 2015 Dodgers, Dodgers stadium, don mattingly, dustin mcGowan, erik bedard, fernando valenzuela, hanley ramirez, howie kendrick, Hyung-jin Ryu, james shields, jeff samardizja, jimmy rollins, Joc Pederson, johnny cueto, jordan zimmermann, julio arias, justin turner, kenley jansen, la dodgers, la dodgers payroll 2015, Luxury Tax Threshold, magic johnson, matt kemp, miami marlins, miguel olivo, Ned Colletti, nl west, san diego padres, sandy koufax, scott van slyke, sydney cricket grounds, syndey australia, tampa bay rays, yasiel puig. Bookmark the permalink. Leave a comment.